At Montrose Square Apartments in Fort Wayne, we’re super excited to welcome March! If you’re tired of being cooped up inside, then worry no more! Spring is officially here on the 20th and it couldn’t come any faster! There’s so many great things to love about springtime in Fort Wayne: beautiful weather, Tincaps baseball, not to mention the return of food trucks! 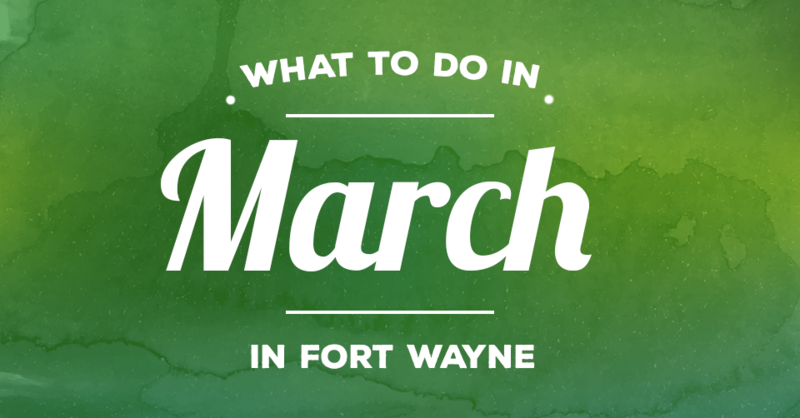 There’re so many great events going on around town this month that we’ve put together a helpful guide of some of the top, can’t-miss activities happening in Fort Wayne this month! On March 2, Country music star, Thomas Rhett will be making a stop at the Allen County War Memorial Coliseum on his Home Team Tour. Thomas Rhett is one of country music’s top breakout artists right now. With hits like “Make Me Wanna,” “T-Shirt,” “It Goes Like This,” and countless more, this is sure to be an unforgettable night! You’ve certainly seen Gabriel “Fluffy” Iglesias on Comedy Central, Conan, The Tonight Show, and countless movies. On March 5, come on out to the Embassy Theatre to see Gabriel celebrate 20 years of comedy. This is sure to be a hilarious night full of fun and lots of laughter! Visit the Embassy Theatre’s website for tickets and more information. On March 7, a taste of Broadway will be coming to Fort Wayne! Millions of people around the world have fallen in love with the classic tale of a bride-to-be on a quest to discover the identity of her father. An amazing story told through a host of timeless ABBA hits is sure to be a great way to spend an evening. For tickets and more information, visit the Embassy’s website. March 3, come cheer on our Fort Wayne Mad Ants as they take on the West Chester Knicks. Don’t miss an exciting night of fun, hoops, and more! See the full schedule here. The 2017 Komet’s hockey season is coming to a close, which means even more intense, high-speed action! Don’t miss your chance to see the Komets take the ice against the Wheeling Nailers on March 4. Visit the Komets website to see the full schedule. The weather might be warming up but the Fort Wayne Indoor Farmer’s Market is still going strong! Come shop around for some super fresh, local produce, baked goods, coffee, and locally made crafts and jewelry. The Indoor Farmer’s Market takes place every Saturday morning at the Lincoln Financial Event Center. March 9-11, come experience the Disney Magic as your favorite Disney characters will take the ice! Mickey and Minnie Mouse will be sharing the heroic stories of your favorite Disney princesses. For tickets and more information about Disney on Ice, visit the Allen County War Memorial Coliseum’s website. Year after year, Winter Jam is the largest touring concert in the Christian-Contemporary Music industry. This year’s Winter Jam features some of the biggest names in the CCM industry, including Crowder, Thousand Foot Krutch, Britt Nicole, Tenth Avenue North, Andy Mineo, and more! Don’t miss this amazing night of music, worship, and lots of fun! Bring the whole family for a day of fun at the Botanical Conservatory. Currently, the Conservatory is hosting a wonderful Mary Poppins-themed Garden Exhibit. You’ll love the lush scenery and beautiful foliage the Conservatory has to offer. March 11, come on out to Fort Wayne’s only family-friendly St. Patrick’s Day Celebration. Watch the Fort Wayne Fire Department turn the St. Mary’s River green! There will also be plenty of great, FREE activities for the whole family such as a lucky charms eating contest, a gold coin drop, a live DJ and a 5-Kilt Run/Walk! Check out the Get Green Fest’s website for more information. For the thirtieth year in a row, the Fort Wayne Fame Festival has been a way to celebrate the arts in Fort Wayne youth. March 18-19, come support the arts by visiting Fame Festival. You’ll see lots of great art ranging from vocal performances and dances to an Art Gallery and even craft stations. This is a Fort Wayne favorite event for the whole family that you won’t want to miss! Every month, the Glenbrook Mall will be hosting a Pop-Up Market. This Pop-Up will be taking place on March 31, from 12-7 in the Grand Main Entrance Hall (beside Barnes & Noble.) The Pop-Up Market features a variety of local vendors, including Fort Wayne businesses, craft makers, and more. It looks like March is going to be full of great activities for the whole family to enjoy! Get out and shake off your cabin fever! This entry was posted in Fort Wayne and tagged fort wayne, get green festival, st patrick's day fort wayne. Bookmark the permalink.